It left my Wiimote useless 🙂 thanks! Yes, very useful. Use the Wiimote when developing a PC game! Even after the uninstallation just how it is shown here, it still seemingly completely destroyed the function of my wiimote on my computer. Before, both TouchMote and the WiiMoteHook easily connected my WiiMote to my PC witihn seconds, now, they dont recognize my wiimote anymore. Thanks. Please help! I’ve got everything on the right settings, but the controller says it’s only paired and not connected. Although, I have the correct driver and it is working, I have the controller hooked up correctly, and the Control Center says the device is there. The controller’s lights also do not light up. This no longer works, if it ever did. Certificate is only valid to install but not use. The steps do not work. Thank you so much for doing this! This makes it much easier to use my Wiimote on my PC. Side note, could you add a feature for disconnecting/reconnecting Wiimotes? That would be really helpful. I’ve managed to connect a Wii remote to my PC after installing this driver, but I cannot use the remote, because Windows tells me it cannot verify the digital signature (Code 52, as Windows puts it). I installed the 64 bit driver, which I know my PC can handle, and have enabled the certificate from the installer. I’ve attempted to troubleshoot this issue for over an hour and a half now, but I’m still stuck with a connected remote that refuses to be used thanks to an “invalid signature”. If anyone has any advice or can tell me where the hell I went wrong, I’d greatly appreciate it. I try to connect the whammy on my guitar controller but it doesn’t work. I have 3.0.3 installed along with the drivers. Any change to get Third Party Wii U Pro Controller working with this? I just tried it with no luck. I want to use this with games that use battleye anticheat, but they don’t allow you to use it in test mode, and in order for the wiimote to even connect, I have to be in test mode. The only solution I could think of is that the driver gets signed! Please let me know if you have any other ideas. Great job here! The driver has been really useful for me! Please keep updating! At first, I was to able to sync two wiimotes to my Windows 8 PC with your driver. The first LED would light up for the first synced wiimote and the second LED would light up for the second synced wiimote with no problems. Now, the third and fourth LEDs light up for both controllers and only one wiimote works. Why? Also, I cannot sync one of the wiimotes to the Wii and I always have to re-sync the other wiimote to the Wii after using it with HID Wiimote 0.3.0.3 driver. 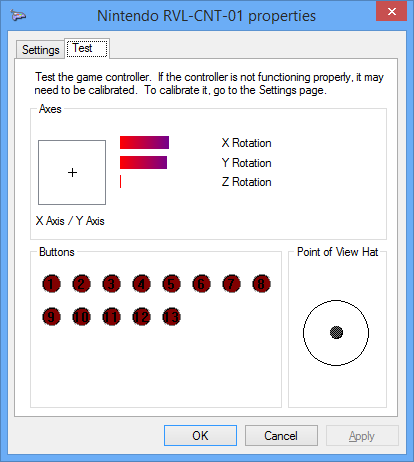 I have been trying to pair my Wii MotionPlus (TR) to my windows 10 pc. Once I paired it, it said driver error. Then, I found this site. I followed all the steps, and the Wiimote Device no longer has a yellow triangle next to it. However, the device just says “Paired” and the led’s will not stay on. I have this same thing! Did you find any fix? i get driver error listed under bluetooth devices which seems to disappear when i uninstall the driver. 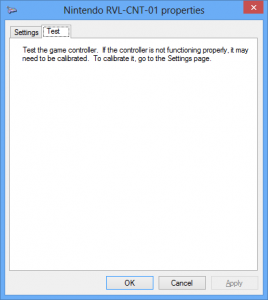 but the wiimote still isnt detected regardless of the installation status of the driver. when not installed bluetooth devices says its connected and leds on the wiimote keeps on blinking and when i install the driver bluetooth devices says driver error and device manager displays a yellow warning icon on wiimote , the leds dont light up either. Hi Julian, thanks a big bunch for your drivers, a lot of fun ahead in public transports ! However I had a bit of trouble configuring : I may not have looked hard enough but did I not found in the readme or tutorial that the drivers only work with the Microsoft Bluetooth stack (I was using BlueSoleil at the beginning). It may save a lot of hassle for any newcomer for this fact to be explicitly stated, don’t you think ? https://github.com/inthehand/32feet/wiki/Switching-any-dongle-to-the-Microsoft-stack was useful for that. I have a note on this site under “Known Issues”, but I probably should add those to the Readme as well. Thanks for the feedback. TinyInstaller has been removed and replaced by the HID Wiimote Control Center, which features an installer.